Teens can join us for our monthly Game Zone program. Come to the library and play some of your favorite video games. 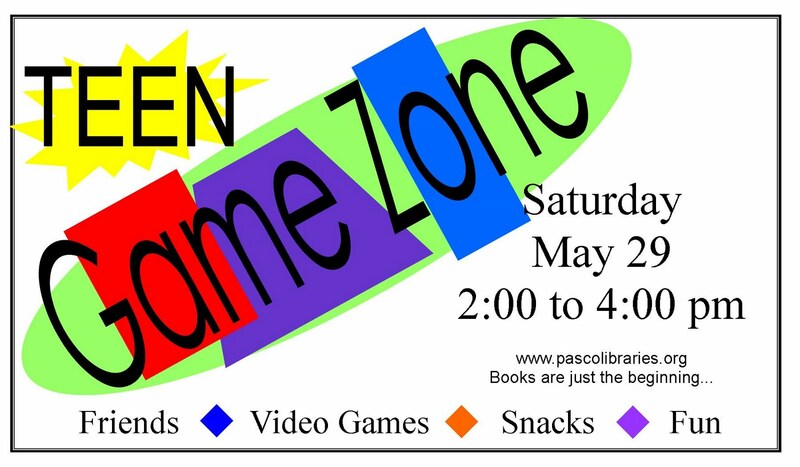 This month's Game Zone will take place on Saturday, May 29th at 2:00 pm in the meeting room at the library.